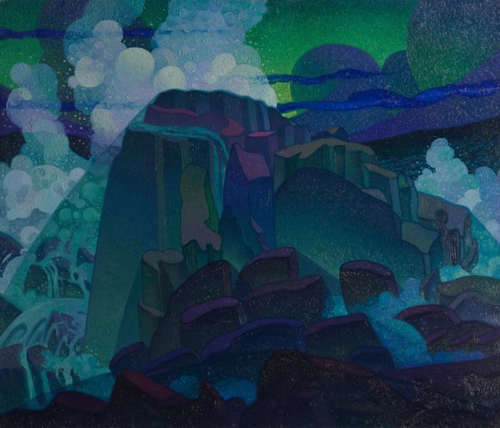 Raymond Jonson, Rock at Sea, 1920-22. Image courtesy of the Cleveland Museum of Art. The illustrative quality that Raymond Jonson gives this painting is fantastic; we love the stylized way he depicts the waves and the eerie moonlight seascape. This is a great piece to practice your Slow Art Day skills on. Take note of what you notice in the first minute of looking at this painting. Then continue to look at it for another two minutes – has your opinion of the work changed? What things did you notice that weren’t immediately apparent? If you liked this practice piece, be sure to check out our Tumblr for other posts like this one!